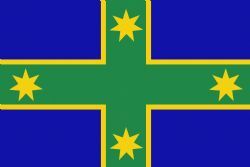 Spin on the commonwealth star, boomerang souther cross design. Similar to the "Reconciliation Flag"
This design will announce clearly and unmistakably our identity to the world as well as to ourselves. 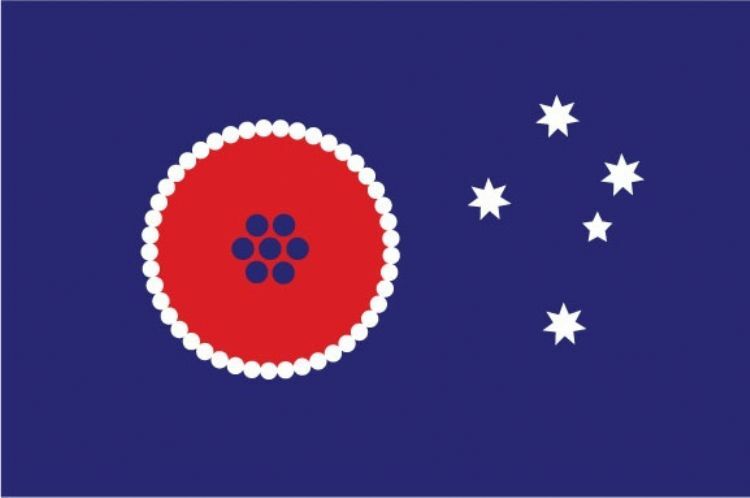 It will be recognised internationally and will not be confused with the flags of other nations. Land, dreaming, life and unity. Our country has been about telling stories since the beginning of time. Here is our story. Here is us, united as one. Inspired by the Australian, Olympic, Aboriginal, & Torres Strait Islander Flags. The coloured stars represent the world's other continents from where we have all come except for the white star that represents our presence in Antarctica. 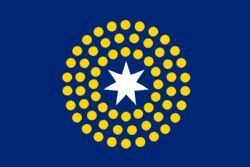 The federation star represents Australia as a Nation Continent, showing our position in the world, as the great south land and acknowledging our states and territories. The line between the world and Australia is Wallace's Line indicating Australia has a different ecology from the rest of the world and has been separate for 70 million years, so must be protected to preserve its agriculture and unique plants and animals. 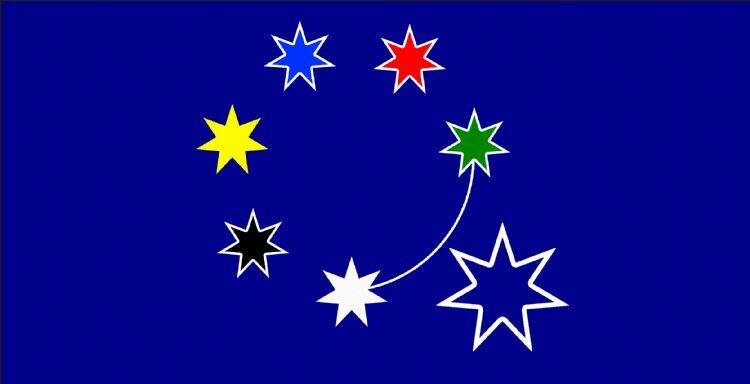 The stars of the world are seven point stars from the southern cross, their colours come from the Aboriginal and Torres Strait Islander flags in the same way that the colours of the rings in the Olympic flag come from the flags of the countries of the world's continents, while recognizing the meaning the colours have for Australia's indigenous peoples. 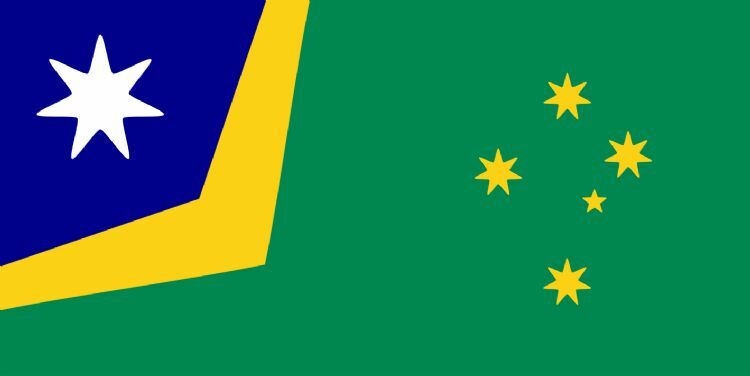 The green & gold stars represent Australia's sporting colours and their love of sport. 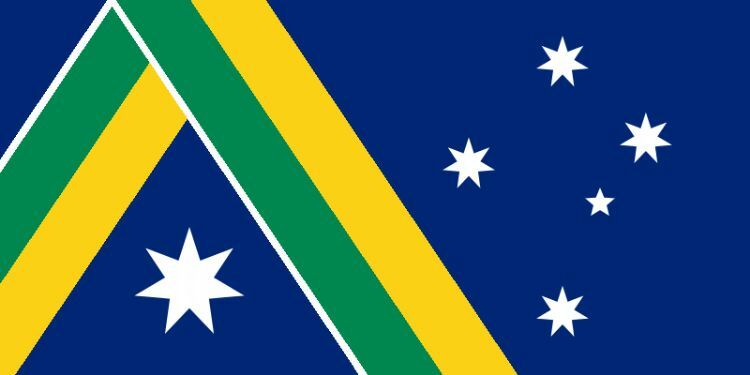 The colour of the Australia Star or Federation Star is dark blue as this is the dominant colour of the whole flag with a thick boarder indicating that most of our population is restricted to within 300Km of the coast. 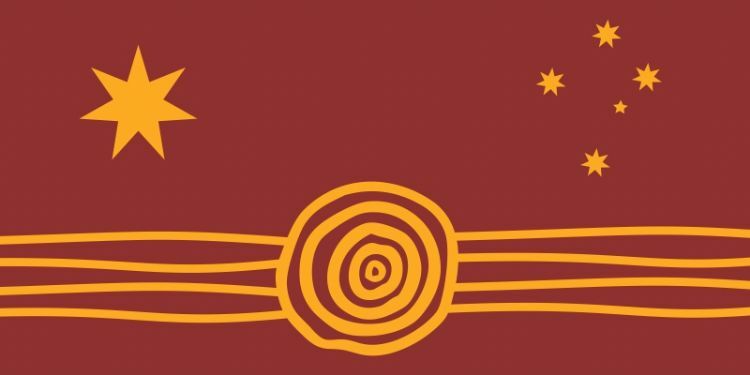 Green and Gold, Dark Blue night sky with Southern Cross and Red ochre colour for the red earth. 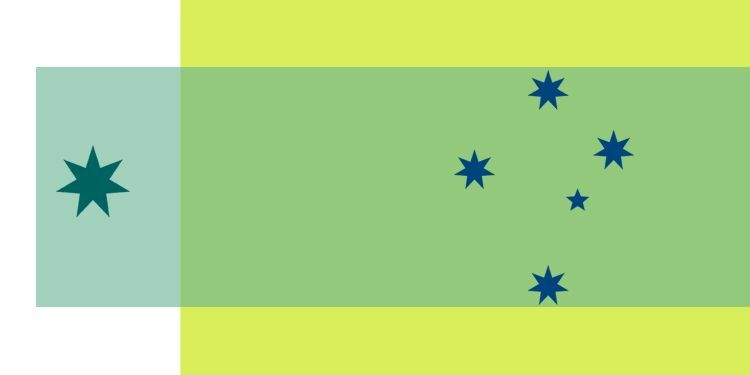 A new flag design in blue-green and gold using a southern cross format from the Eureka flag. Australia is unique as the island-continent, the Great Southern Land. Symbolising our island-continent is a RED earth circle, bounded by a line of WHITE dots, the coast. In the heart of the island symbol is a star-like cluster of BLUE dots. The centre dot represents the territories, the six surrounding dots, the states. The island-continent is girt by a sea of BLUE. 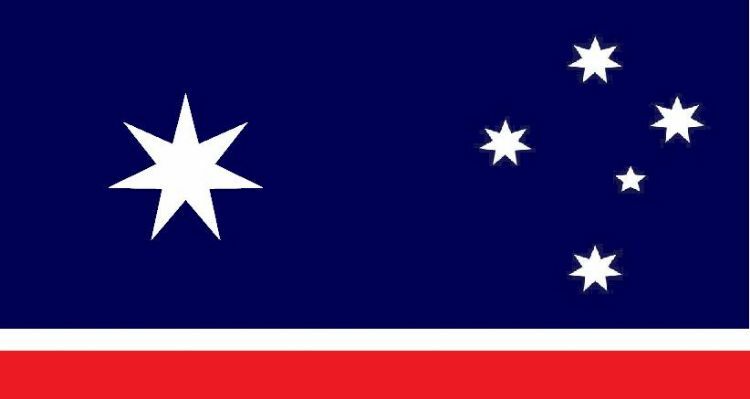 The WHITE stars of the Southern Cross are faithfully kept. 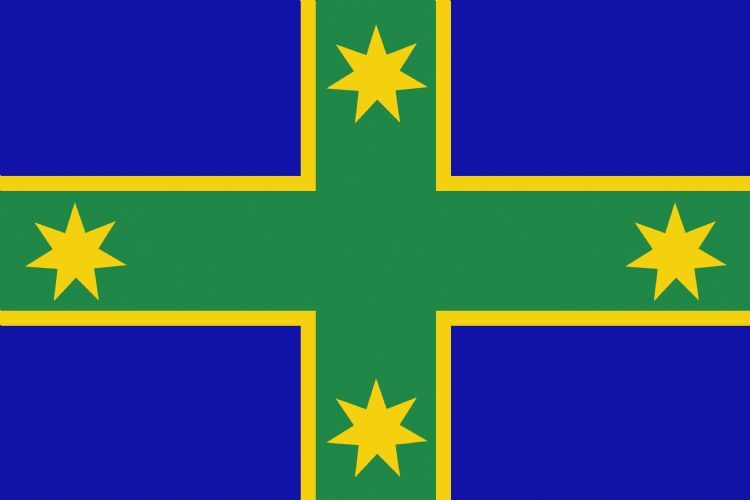 A new flag bringing together all Australians. Red of the earth, Black of the original owners and a yellow kangaroo representing a new beginning, bringing us all together. Largely based on Gordon Andrews aesthetics from his iconic graphic design work commencing in 1966 on the introduction of our decimal currency. 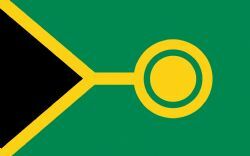 This influence can be seen with the many thin green lines stretching over the yellow segment of the flag. It features our commonwealth star and southern cross and is only exclusive of the British Union Jack. 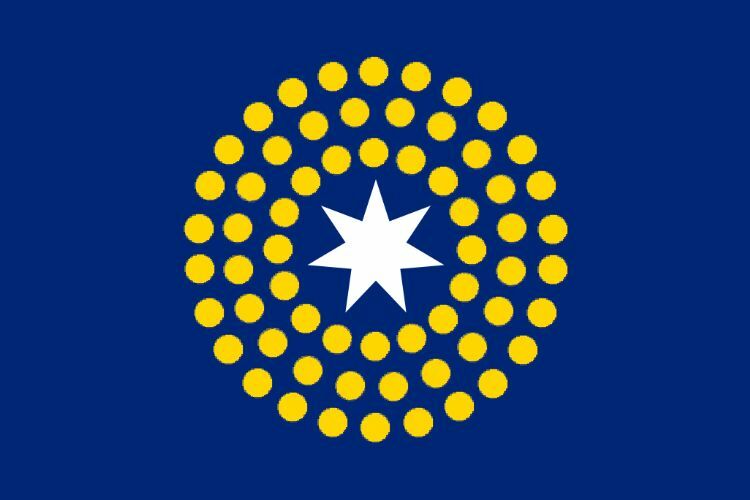 The commonwealth star now incorporates the colouring from the blue ensign, and is intended to be respectful to our current flag as the blue carries much history with it (outside of the crown) and has been given instead to the stars above. 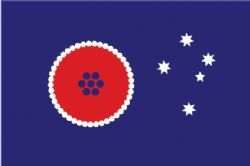 Red is not represented on our flag anywhere other than within the union jack and is a highly significant colour that represents the earth in the Aboriginal flag, out of admiration and as such I have decided it is better represented there. It is now inclusive instead of our national colours green and gold and these colours reference our coat of arms and the golden wattle flower. There is a proud history of achievements we have made under these colours as a nation that are currently not represented on the current flag. Most significant is the prominence of yellow and in many ways feels more true to our culture and our nature than the inverse of green or blue in this design. We are a vibrant, sun soaked land. We are happy people and I want us to have a flag that shows our real personalities. It features our commonwealth star and southern cross and is only exclusive of the British Union Jack. Most significant is the prominence of yellow and in many ways feels more true to our culture and our nature than the inverse of green or blue in this design. We are a vibrant, sun soaked land. We are happy people and I want us to have a flag that shows our real personalities. 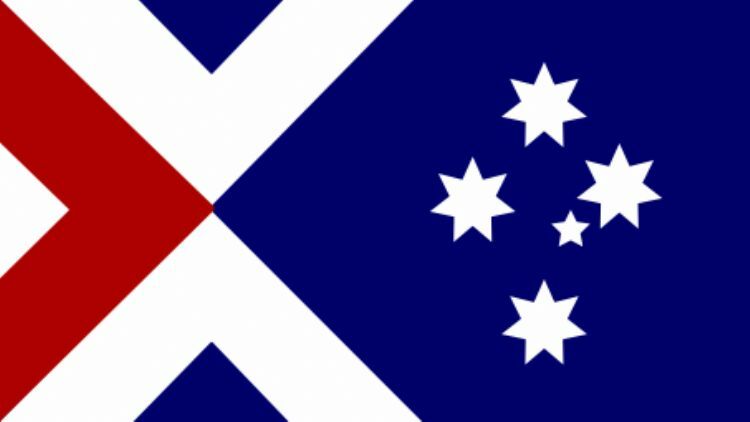 Kept the original colours, the southern cross and federation star.